Sweet treat! This super fun crossbody is a kitschy rendition of a summertime favorite - ice cream cones. 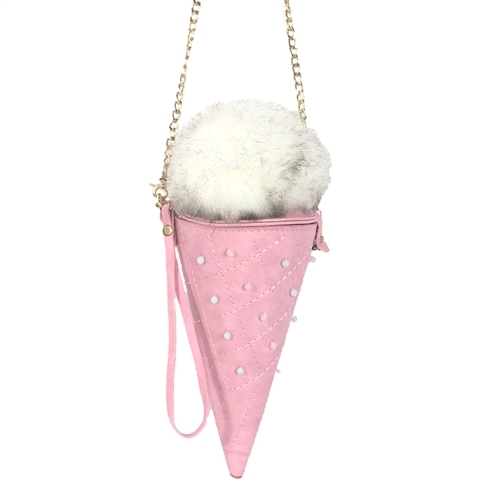 Convertible bag in synthetic leather shaped in a ice cream cone.. 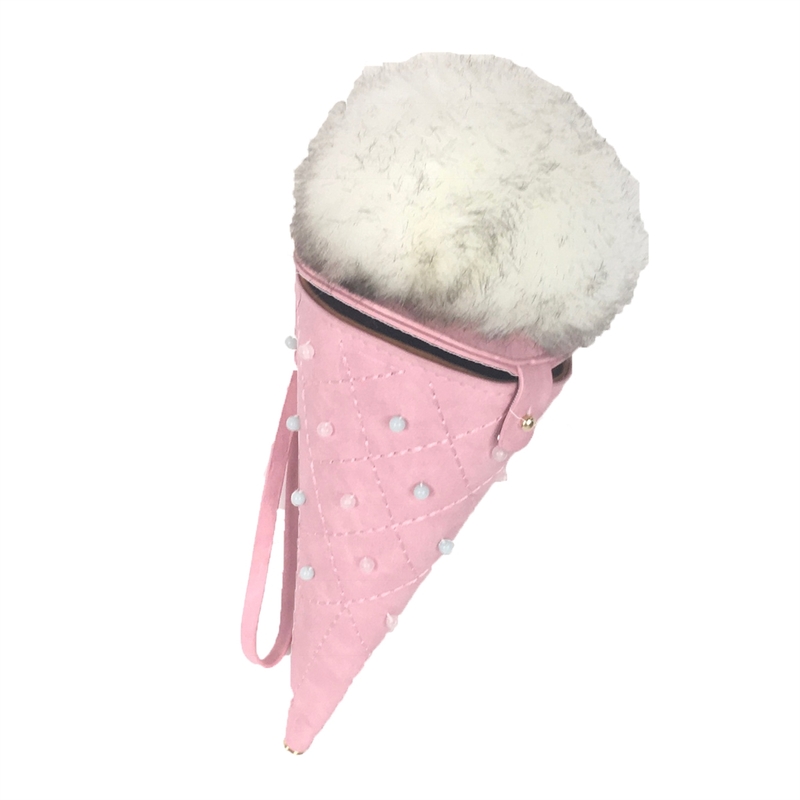 Features an faux fur pom pom "ice cream scoop" topper. Cone features bead detailing and rhinestone at tip. 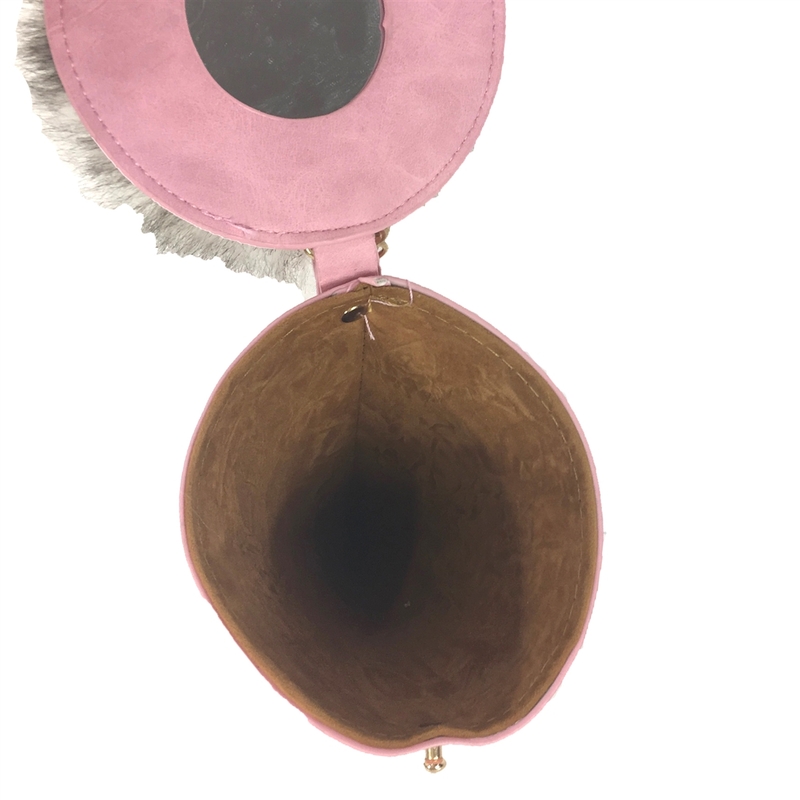 Lid with push tab closure. Mirror on inside lid.